I spend a fair amount of time talking to students and other young people about Congress and politics in general, and I’ve noticed something. It used to be that I’d regularly get asked how one runs for office. Nowadays, I rarely do. This is a young generation that is famously leery of politics. Every year, the Harvard Institute of Politics surveys young Americans about their attitudes. In their most recent survey, only 21 percent of respondents considered themselves politically engaged. Last year, only a third counted running for office “an honorable thing to do” — compared to 70 percent who considered community service honorable. A lot of young people are repelled by politics; they’ve lost faith in the system just as many other Americans have. And I fully understand that elected office is not for everybody. You can make wonderful contributions to our communities and to our society as a whole without holding office. But look. If you don’t have people who are willing to run for office, you don’t have a representative democracy. As the leading edge of the Millennial generation reaches the age where running for office is a realistic possibility, I hope they’ll consider a few things. First, it’s hard to find a more challenging job. The number, complexity, and diversity of the problems we face are astounding. As a politician, your work is never done; your to-do list is always full. It’s intellectually as challenging an occupation as anything I can imagine. It’s the chief way we resolve, or at least manage, the problems we face. In a country as diverse as ours, building a consensus behind a solution — which is what accomplished politicians try to do — is difficult work. It can also be immensely satisfying. The long and short of it is this: I’ve encountered plenty of accomplished people in other professions who told me that in the end, they’re a bit bored. I can’t ever recall hearing a politician say that he or she was bored. Second, I don’t know of another profession that puts you in touch with more people of more different types, ages, and views. You meet — and, if you’re serious, really engage with — liberals and conservatives, voters rich and poor, religious believers and secular humanists alike. It’s often said that if you don’t like people, you should stay out of politics. This is true: politics isn’t for everyone: You have to enjoy all kinds of people and learn to get along with all kinds. Inevitably, you’ll encounter people who idolize you, others who demonize you, supporters who praise you, and critics who are more than happy to tell anyone who’ll listen that you should just drop dead. Odd as this sounds, this is one of the great attractions of the job: the splendid array of individuals and convictions that you encounter in politics. Finally, and perhaps most important, the work can be immensely satisfying. Whatever level you’re running at, whether it’s for the school board or for President, you’re doing it to try to make things work. My first year in Congress, in 1965, I voted for Medicare. I’d had no role in drafting it. I played no substantive part in its passage. Yet I still remember that vote, and I still derive deep satisfaction from it. Because I know that I voted for legislation that has helped millions of people, and will continue to do so into the future. That’s the thing about holding public office: you have a chance to contribute to the direction and success of a free society. In the scheme of things, this chance isn’t given to all that many people. I know a lot of people who’ve worked mainly in private sector but spent some time in public office, and they almost invariably speak of their time in the public sector as among the most rewarding and satisfying times of their professional lives. That’s because I think they understand a simple formula: there’s no America without democracy, no democracy without politics, and no politics without elected politicians. There are a lot of exciting, challenging and satisfying professions out there, but here’s what I tell young people: I consider politics chief among them. 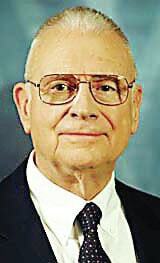 Lee Hamilton is director of the Center on Congress at Indiana University; Distinguished Scholar, IU School of Global and International Studies; and Professor of Practice, IU School of Public and Environmental Affairs. He was a member of the U.S. House of Representatives for 34 years.